Hey All, It’s Kallie and I am ringing in the new year with a bunch of fun, simple make up changes. 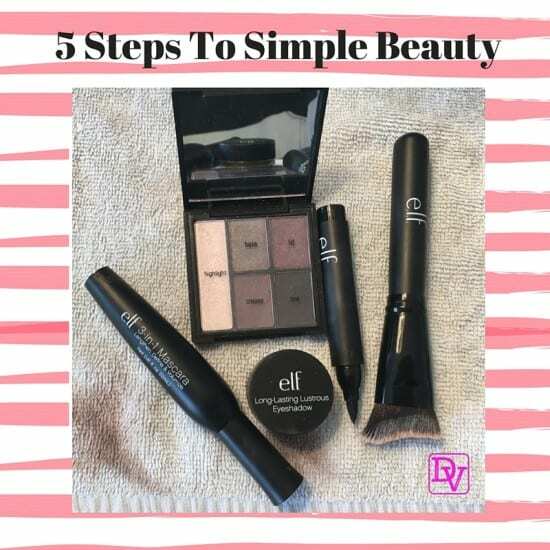 Are you ready for 5 Steps to Simple beauty? So many of you have written into me, and asked for simple tips to achieve beauty without breaking the bank so I investigated a few options for everyone that wants 5 steps to simple beauty. What I have come up with is makeup that is affordable and found in major retailers nationwide. Let’s take a look at what I found, what brand I used and how you can easily achieve the same look as I did. Slight warning, the makeup is addictive, the price point is amazingly affordable and you might want to take a cart with you, not a shopping basket. Let’s lavishly live 5 steps to simply beauty out loud and put our faces on. Here are the products I found for you. Quite simply you will see there are a lot of options in this brand of make up. Step 1: put on my foundation with my e.l.f cosmetic sculpting face brush. Step 2: followed the steps in my e.l.f cosmetic “smoked to perfection” eyeshadow palette. Step 3: lined my lids with a super thick and sultry black liner with my e.l.f cosmetic extra thick ink liner. 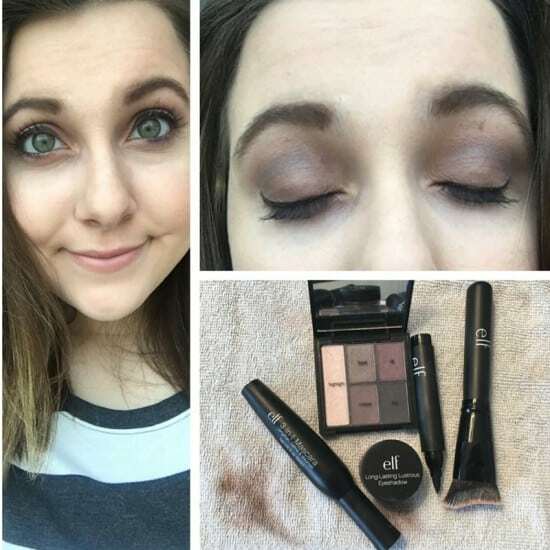 Step 4: finished off my look with my e.l.f cosmetic 3-in-1 mascara that lengthen, defined, and gave my lashes the volume they needed. Step 5: finished my look off with a touch of my gold lustrous eyeshadow by elf. It’s time for a new year and a new looking you, keeping it simple and fun with e.l.f. cosmetics. Like I said, fun, simple and easy to use and you can find the products in major retailers all over the United States. Lavishly live cosmetics out loud, play beautifully, and indulge with my 5 steps to simple beauty.